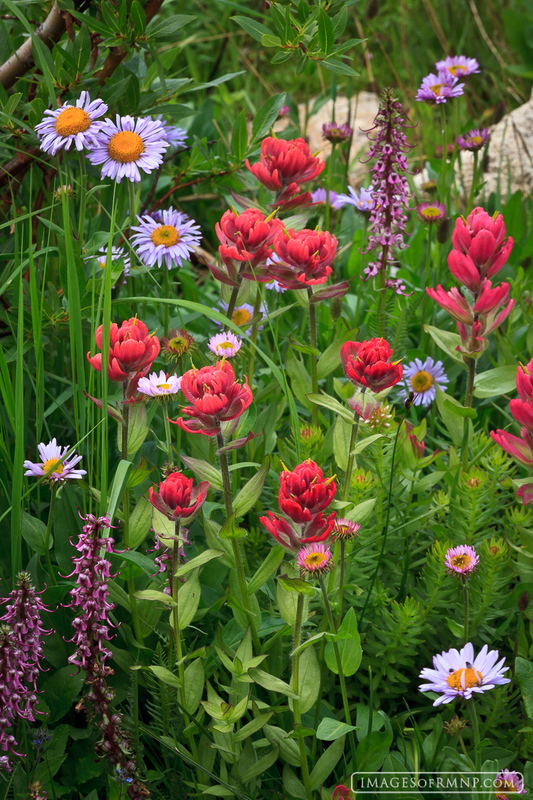 Deep in the backcountry of Rocky Mountain National Park I came across this delightful mix of flowers growing in a marshy meadow. Could a florist have created anything more beautiful? Photo © copyright by Erik Stensland.